A loan of $450 helped to pay for grocery items, toiletries and beverages needed in her business. This is Margie, 23, resident of GMA, Cavite, Philippines. Single, she is living with her parents and she’s helping them financially. She is working hard to provide for their everyday needs. Margie operates a variety store. In the Philippines, a variety store is a retail store that sells inexpensive items, often with a single price for all items in the store. It is the place to go to buy one sachet of shampoo, a Php5-worth of cooking oil, or an egg. She earns by getting supplies at wholesale prices and selling by piece. Her regular customers are her neighbors and the local community. She earns a minimum of Php500 in sales every day. 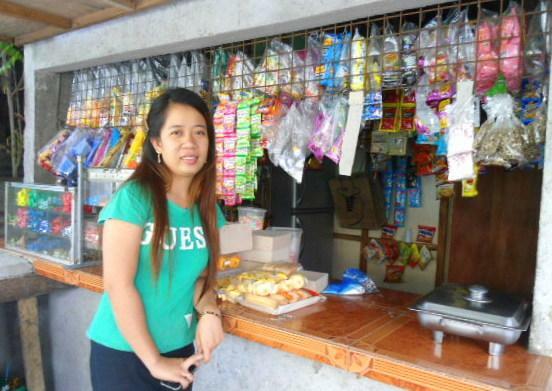 She is requesting a Php20,000 loan to help her continue in the operation of her business. She will use the loan to buy groceries, toiletries and beverages to expand her product inventory. Margie dreams that her business will continue to flourish and hopes to give her children a good life and education. She meets up with her co-fellowship* members to share stories of her life and business every week and where she can also draw strength and inspiration from the fellowship and the Word of God she studies. All CCT community partners / clients are organized into fellowship groups that meet on a weekly basis. A fellowship group is composed of 15 to 30 community partners. The fellowship groups gather each week to study the Word of God, build social capital, and repay Micro Finance loans.